Hey Dreamers and Creators, Helen and Michelle here! We got our Flower Hunt mystery products from Memebox this morning. We were both excited and nervous about our products before we got them. Since they are mystery products, we had no idea what they were when we purchased them. Which meant the products we get could either be ones we are excited for or ones we don't like at all. Well, that's the risk you take when you buy mystery goodies. Since we got 2 of each of the 5 flowers (no waterlily) the total value of our products should be $260. Let's dig in and see what we got and how much value we actually got! The total value we received is $180.42. Not the $260 value promised but at least we got over the value we paid for. 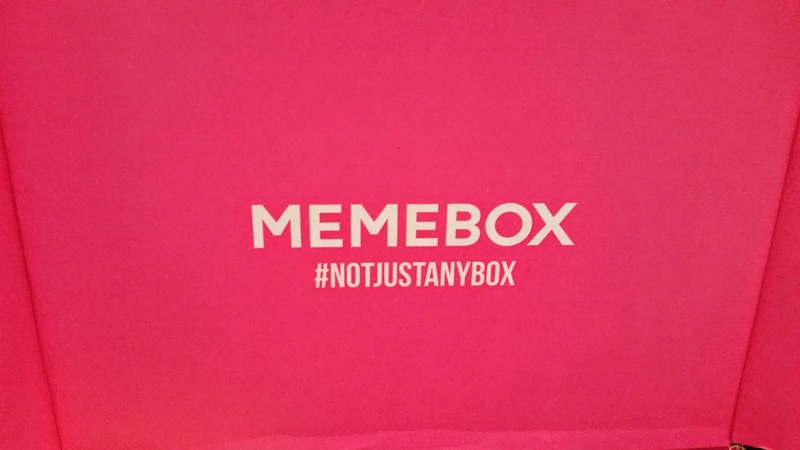 As for usability, we honestly weren't expecting so many makeup products. We knew there would be some but out of the 11 items we got, only 2 were skin care products, so that make 9 makeup products. At first look, we were okay with the products, but as we researched more, we got really excited for some of the products. 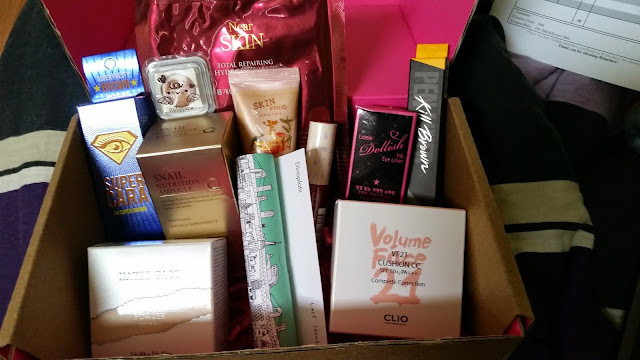 The products we are especially excited for are the Clio VF21 Cushion, The Skin79 Snail Nutrition Ampoule, the Missha Near Skin Hydro Gel mask (cause Michelle loves her masks), and Holika Holika Naked Face Foundation powder. We think the TCFS lip crayon could either be a hit or miss because it looks so orange, even though it is suppose to come out as a peach color. The It's Skin eyeshadow will most likely be used and the Skin Food BB cream will be used as well, so they are okay. We got 2 eyeliners, neither of which we have tried before, so it will be fun to experiment. Finally, we have an orange gel tint, another potential hit or miss product because neither of us has tried full on orange lip products before. Overall, it's not a bad lot of products. We are looking forward to test and review them all. Do you like to take chances and order mystery products or would you rather choose what products you want to purchase? 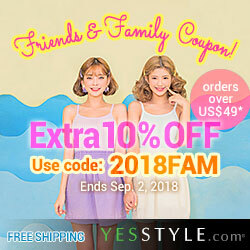 Visit the Online Asian Beauty page for coupon codes and deals!